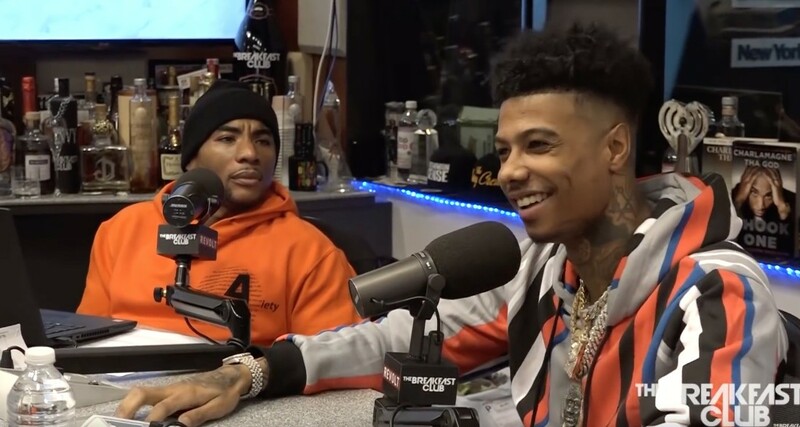 Blueface has been in New York these past few days doing some interviews and he recently stopped by The Breakfast Club for a brand new interview and we just got blessed with the final product this morning. You will find DJ Envy, Angela Yee and Charlamagne asking him about plenty of interesting subjects such as being from the west coast, how he started rapping, driving to high schools to perform his music on top of his car, his unique flow & style, how he connected with Wack, his football career, the music video for Thotiana, his musical influences, working with Drake, his mothers reaction to his face tattoo, dealing with criticism and so much more. Check out this awesome new conversation below!